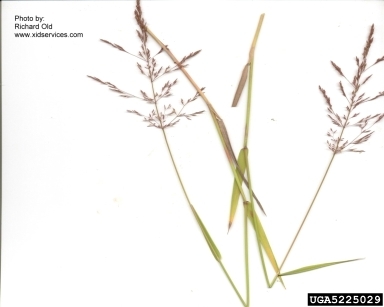 Agrostis gigantea.Richard Old.XID Services, Inc.Bugwood.org.www.weedimages.org (Accessed 4/2014). Agrostis gigantea is a perennial C3 grass (Waller and Lewis 1979), to 1 m (usually much shorter), stems erect to reclining (USDA, NRCS 2006), sod-forming from rhizomes; new shoots arising at base of old flowering stems in late summer and fall. Leaves alternate, blade 0.3-0.8 cm wide, much shorter than flowering stems, ligule 0.3-0.6 cm long, longer than wide. Flowers reddish to purplish becoming pale tan with age (Hilty 2006), spikelets 1-flowered, 0.2-0.3 cm long, palea ½ to 2/3 as long as lemma (use lens); inflorescence 10-20 cm long, an open or dense panicle, branches unequal, numerous, many short branches with spikelets nearly to base; blooming and fruiting June-Aug.
Agrostis gigantea.Max Licher Southwest Biodiversity.SEINet.swbiodiversity.org (Accessed 5/2017). Wetland status: FACW (but found in upland sites also). Frequency in NYC: Occasional (probably more frequent but overlooked). 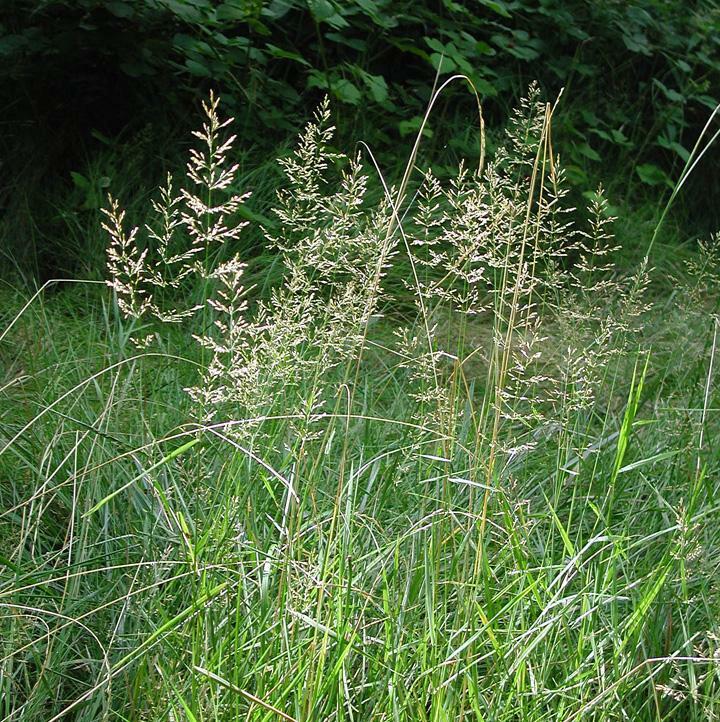 Habitat: Disturbed areas, roadsides, horse trails, meadows, woodland understories; tolerates soil pH 4.5-8, tolerant of fire, moderately tolerant of anaerobic soil, intolerant of drought, salt and shade (USDA, NRCS 2006). Notes: Observed to be somewhat shade tolerant. Listed in plant material catalogs and commonly used in cover mixes for restorations and roadsides. Fed on by rabbits and the larvae of several butterflies; seeds eaten by sparrows (Hilty 2006).